When about one hundred years later artificial intelligence is writing an anthology of the 21th century electronic music, it definitely will come across Emile Facey aka Plant43. The artist and scene activist with many talents – graphic designer, illustrator and co-founder of bleep43.com – might not be the most talked-about player on the field, but his grasp of deep electro tunes deserves admiration. Having started on Ai Records, the Londoner has appeared on the genre’s usual suspects like CPU, Frustrated Funk and Semantica, and now has the honour to kick off a new label called Eudemonia. In the opener “Porcupine Meadow”, Plant43 instinctively finds the way to the paysages of persuasive beauty, formed with the tranquillity of bewitching pads and creative beatless pauses. Void of any jealousy, the bass hands over the dominating role to synth serpentines when everything is cured, nobody is forgotten in the kingdom of perfection. It’s not much different in the neighbouring area, “Edge Of The Wood”, where paragliding pristine sequences are pleasing human senses, giving an assurance of being safe from harm, even when some strange figures may lurking behind the trees. Monumental 12 minutes of the ambient track “The Toll Gate” are filling the B-side and it’s far from being a quiet affair. Hypnotically dashing arpeggios are causing whirlwinds and atmospheric layers creating a feel of living inside of an endless (neo)trance intro. 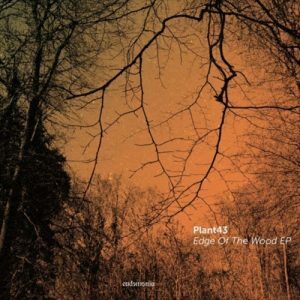 Good news about Plant43 are not limited to Eudemonia’s impressive debut: one of most memorable releases in 2012, “Dreams Of The Sentient City”, will be repressed. It means vinyl access to “Fluid Reasoning” and other brilliant material of the EP that inaugurated a thematic trilogy on Semantica.